This map shows an astronomical overview of megalithic sites in France. (these are like counties and the number of the department appears, for example, on the license plates of automobiles). The regions and their departments (plus number) are listed below, based on the France Michelin Atlas Routier et Touristique 2000 (see also France-pub.com and CRWflags). 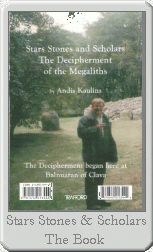 Given below are also the nearly corresponding stellar constellations in the ancient Neolithic survey of France according to our decipherment of the megalithic sites of France. Brackets [...] show the divergent English term or spelling. 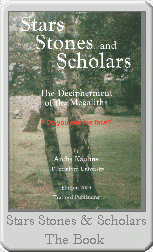 The decipherment of the megaliths of France is by Andis Kaulins. the Channel Islands belonged to France according to the astronomical survey. This page was last updated on April 15, 2011.